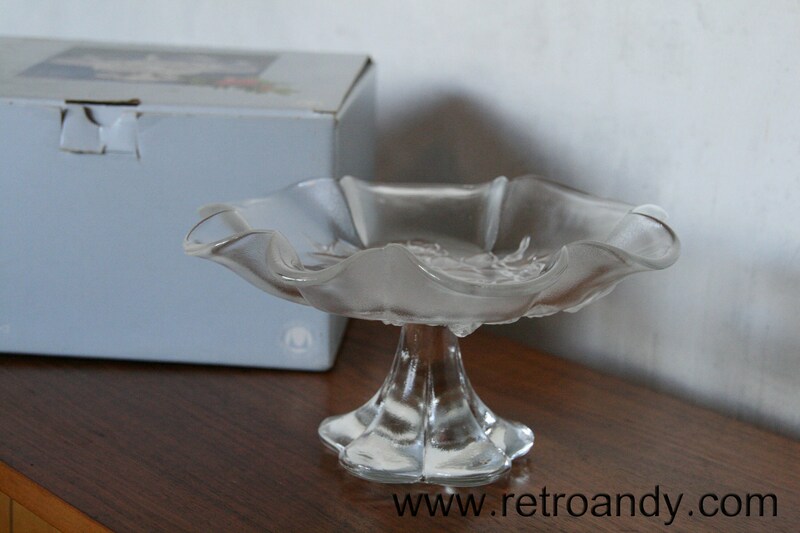 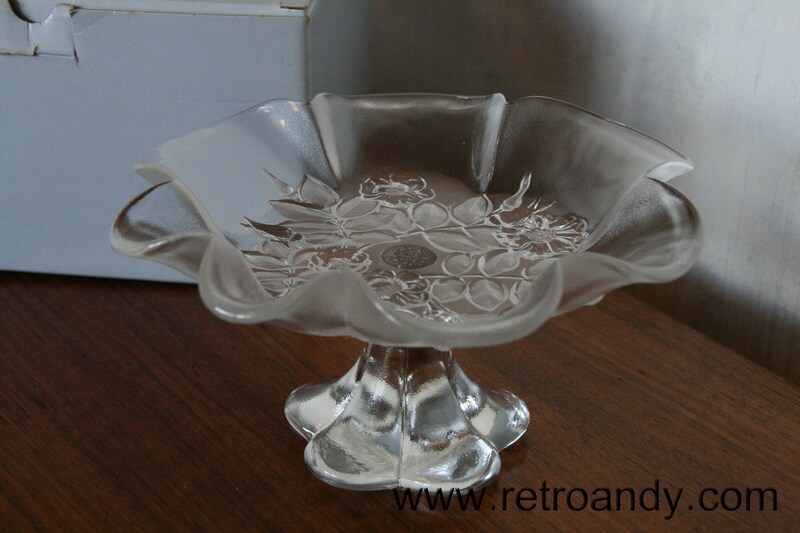 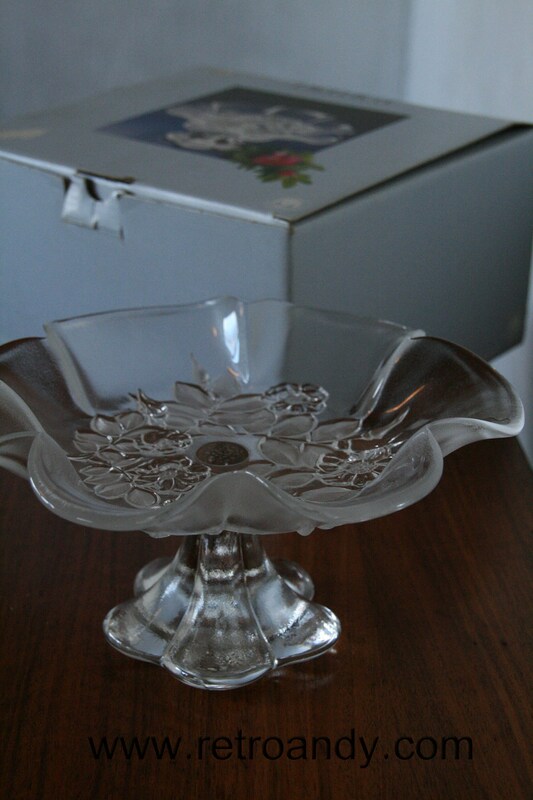 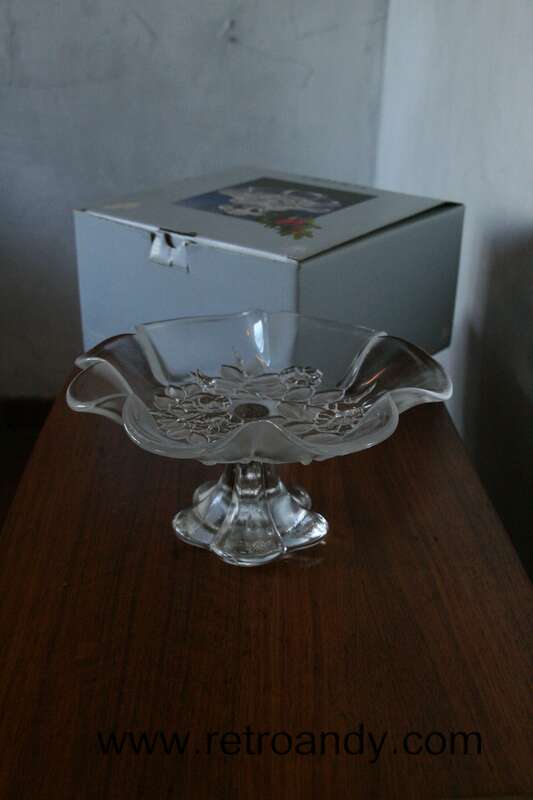 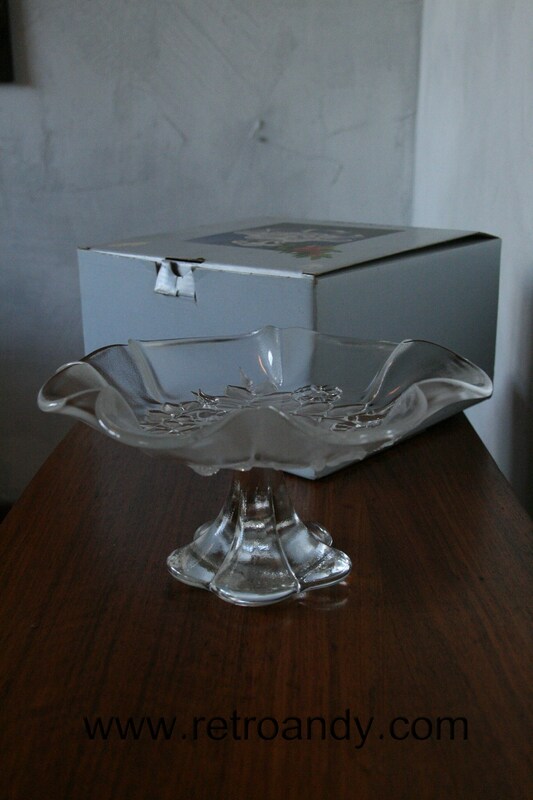 Nice serving dish with a flower pattern and frosted leaves, in original box. 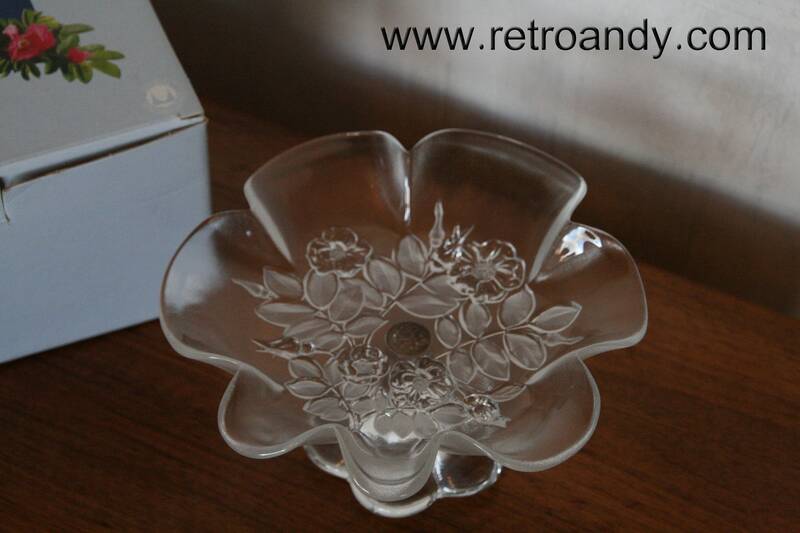 Bianca is a pattern of excellent clarity and beauty. 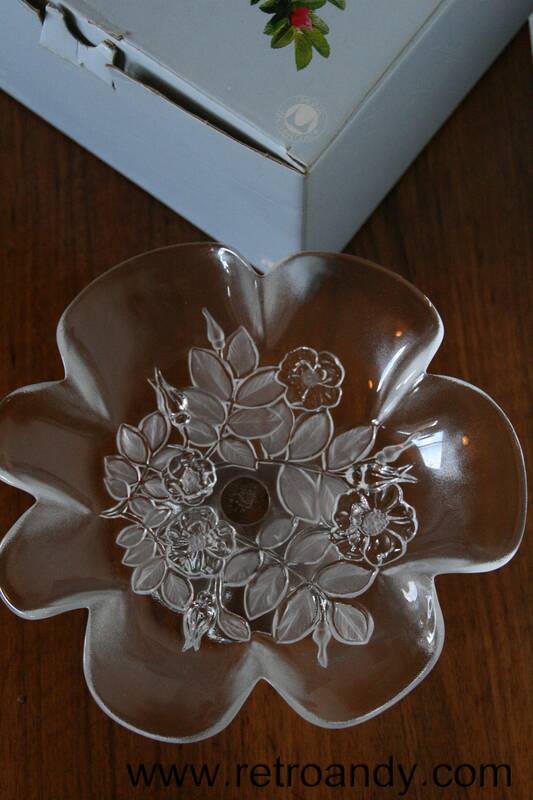 I think this pattern deserves to be displayed as well as used for those holiday or Sunday dinners. 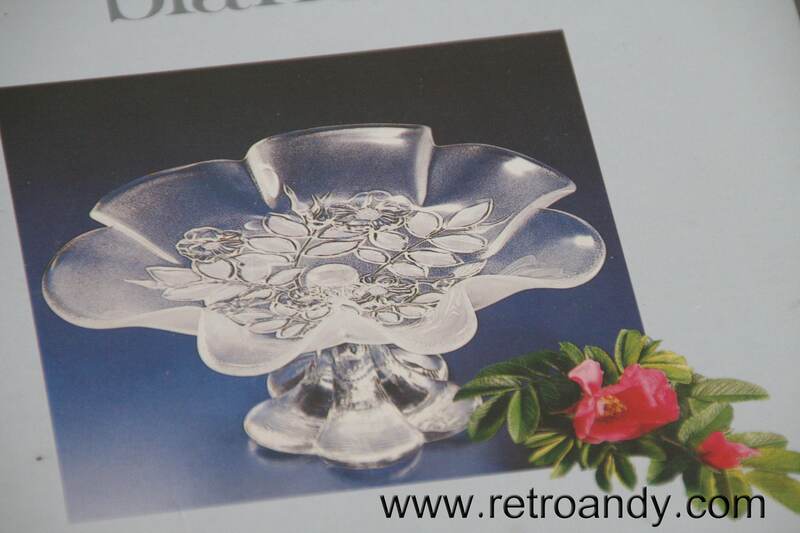 Waltherglass has created a master piece of delicacy with its soft fluted edging, its beautifully cut flowers, yet it is thicker, solid and usable.